I have sent out an initial appeal, by e-mail, to start a column featuring a photo and a brief background piece on the managers and key staff members of our wireless messaging companies. I want to include manufacturers and suppliers of related products as well. I am a firm believer in promoting the human side of business. I think if we work most of the time and we don't have any friends connected with our vocation, then life would be pretty dull. You may pin-up movie star photos and sports heroes on your wall, but my favorites have always been the leaders of the wireless industry. I have been privileged to know some really remarkable men and women in my fifty-plus years in this business. So how about it? Send me a recent photo and a bio. That's all it will take for me to get started. Phil Leavitt has approximately 1,500 new Bravo 501 900 MHz FLEX numeric pagers (synthesized) available for $14.50 each. Please contact Phil directly if you are interested. If you buy them, he might even throw this old dog a bone. Phil has been really great — supporting this newsletter for a long time. Austin , Texas, is a wonderful place to visit and the Hyatt Regency Austin provides the perfect location for guests to walk to downtown attractions or to relax along the shore of Lady Bird Lake. Easily accessible by air, the Austin-Bergstrom International Airport (AUS) was recently named the "best domestic" airport in the U.S. and has more than 150 daily commercial flights including 40 non-stop flights. NOTE: Whether you make your reservation online or by phone, be sure to mention the Critical Messaging Convention to receive the group rate of $167/night. The rate will increase by $100/night after March 1. Register on or before March 1 and save $75. 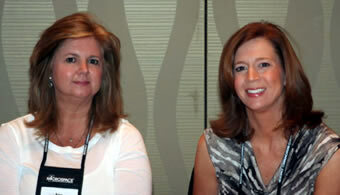 The registration fee includes all presentations, exhibits, lunch, and Wednesday's riverboat reception. This year the Critical Messaging Association and the European Mobile Messaging Association have collaborated to develop an agenda focused on providing key information to help grow your business opportunities and increase your awareness of issues facing the industry. 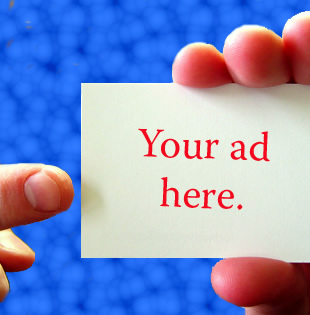 Grow Your Business with Utilities - They Need More than Just a Message! WESTBROOK, Maine, Feb. 21, 2012 /PRNewswire via COMTEX/ — Critical Alert Systems today announced the acquisition of Intego Systems, which has been a leading innovator in nurse call systems since its founding in 1983. Critical Alert Systems provides critical messaging services through its subsidiaries to more than 300 healthcare facilities in the northeast and south-central United States. Wedbush Capital Partners, a majority investor in Critical Alert Systems, introduced the companies. "Intego has set the standard for hospital nurse call systems, and their capabilities are a great fit with our established critical messaging services," said Ed Meyercord, CEO of Critical Alert Systems. "This acquisition allows Critical Alert Systems to offer a more robust and fully integrated range of communications and critical messaging services to healthcare providers nationwide. And, we're excited to work with the Intego team to extend the reach of their cutting edge products and services." More than 200 healthcare organizations rely on Intego to provide communications between their patients and hospital staff that can lead to faster response times, higher patient quality of care and greater patient satisfaction. Intego's ProNet™ is the most advanced nurse call system on the market and works seamlessly with its MedTrac® smart locating system and ReportLink™ browser-based reporting to create dynamic, streamlined communications. Intego, which becomes a wholly owned subsidiary of Critical Alert Systems, will be called Intego Software, LLC following the acquisition and will remain headquartered in Jacksonville, FL. Intego Founder Charles Bell joins Critical Alert Systems as an equity partner and in the new role of Chief Strategy and Business Development Officer. Ted McNaught will retain his title of President and Chief Operating Officer at Critical Alert Systems and will have operating responsibility for Intego Software. Critical Alert Systems provides critical messaging services to more than 300 healthcare facilities. The company, which operates as UCOM Paging in the northeast and TeleTouch Paging in the south-central United States, is committed to a local focus designed to deliver superior system reliability and customer service. Wedbush Capital Partners is a majority investor in Critical Alert Systems. More information available at http://www.criticalalertsystems.com . Intego Software LLC, a wholly owned subsidiary of Critical Alert Systems, serves the healthcare industry with products and services that help hospitals measurably improve patient care. Founded in 1983, the company develops and manufactures nurse call systems and the integrated software products that allow for these systems to communicate with the hospital enterprise. "We get the caregiver to the patient faster than anyone" is more than just a company slogan, it's a core premise on which Intego operates every day. More information available at http://www.nursecall.com . SPRINGFIELD, Va., Feb 22, 2012 (BUSINESS WIRE) — USA Mobility, Inc. USMO -0.75% , a leading provider of wireless messaging, mobile voice and data and unified communications solutions, today announced operating results for the fourth quarter and year ended December 31, 2011. In addition, the Company's Board of Directors declared a regular quarterly dividend of $0.25 per share, payable on March 30, 2012 to stockholders of record on March 16, 2012. For the fourth quarter, consolidated revenue was $58.9 million, an increase compared to $54.6 million in the fourth quarter of 2010 and compared to $61.5 million in the third quarter of 2011. Revenue from the Company's Wireless business (USA Mobility Wireless) was $46.5 million in the fourth quarter, compared to $48.6 million in the third quarter and $54.6 million in the fourth quarter of 2010. Revenue from the Software business (Amcom Software) was $12.4 million, compared to revenue of $12.9 million in the third quarter. 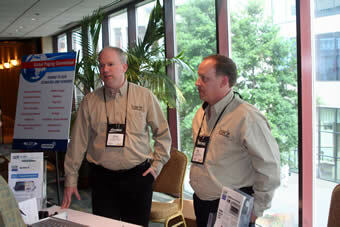 USA Mobility acquired Amcom Software on March 3, 2011. Software revenue in the fourth quarter included a fair value write down to maintenance revenue of $1.0 million for purchase accounting adjustments, compared to a write down of $1.5 million in the third quarter. Excluding the write down, Software revenue for the fourth quarter would have been $13.4 million. Fourth quarter EBITDA (earnings before interest, taxes, depreciation, amortization and accretion) was $18.3 million, an increase compared to $16.9 million in the fourth quarter of 2010 and compared to $21.3 million in the third quarter. Fourth quarter of 2011 results were negatively impacted by the purchase accounting adjustments of $1.0 million and by $1.2 million in severance expenses for planned 2012 headcount reductions in the Wireless business. Excluding these adjustments, fourth quarter consolidated EBITDA would have been $20.6 million, or 34.3 percent of revenue. Net income for the fourth quarter of 2011 was $18.9 million, or $0.84 per fully diluted share, compared to $10.4 million, or $0.46 per fully diluted share, in the third quarter of 2011. The increase in net income in the fourth quarter was largely the result of a benefit to income tax expense as a result of a decrease in the deferred income tax asset valuation allowance of $10.7 million, which adjusted the balance of deferred income tax assets to their estimated realizable amounts. Excluding the income tax benefit, the purchase accounting adjustments and severance expenses, net income for the fourth quarter of 2011 would have been $9.6 million, or $0.43 per fully diluted share. Results for the fourth quarter of 2010 were impacted by the benefit to income tax expense (due to the reduction of $32.9 million in the deferred income tax asset valuation allowance), a one-time litigation settlement expense of $2.1 million and by $1.7 million in severance expenses. Excluding these adjustments, net income in the fourth quarter of 2010 would have been $10.0 million, or $0.45 per fully diluted share. For the full-year 2011, consolidated revenue totaled $242.9 million, compared to $233.3 million in 2010. In 2011, Wireless revenue was $199.7 million and Software revenue was $43.2 million. EBITDA for 2011 was $79.0 million, or 32.5 percent of revenue, compared to $81.3 million, or 34.9 percent of revenue, in 2010. Excluding the fair value write down of software maintenance revenue of $6.1 million and transaction costs related to the Amcom acquisition of $2.7 million, EBITDA for 2011 would have been $87.8 million, or 35.3 percent of revenue, and net income would have been $94.3 million, or $4.19 per fully diluted share. Net income for 2011 was $88.6 million, or $3.94 per fully diluted share, compared to a net income of $77.9 million, or $3.45 per fully diluted share, for 2010. Net unit losses were 53,000 in the fourth quarter, compared to 58,000 in the third quarter and 61,000 in the year-earlier quarter, while the quarterly rate of unit erosion improved to 3.1 percent from 3.3 percent in the third quarter versus 3.2 percent in the fourth quarter of 2010. The annual rate of unit erosion improved to 11.7 percent in the fourth quarter, the lowest churn rate in the Company's history, from 13.4 percent in the year-ago quarter. Units in service at December 31, 2011 totaled 1,668,000, compared to 1,889,000 at December 31, 2010. The rate of revenue erosion in the fourth quarter was 4.1 percent, compared to 6.8 percent in the third quarter and 3.6 percent in the year-earlier quarter. The annual rate of revenue erosion was 14.8 percent in the fourth quarter, compared to 14.4 percent in the third quarter and 16.4 percent in the year-earlier quarter. The year-over-year rate of revenue decline was 14.4 percent in 2011 compared to 19.5 percent in 2010. Total ARPU (average revenue per unit) was $8.51 in the fourth quarter, compared to $8.59 in the third quarter and $8.74 in the fourth quarter of 2010. For the year, ARPU totaled $8.64, compared to $8.84 in 2010. Fourth quarter EBITDA margin for Wireless was 36.7 percent (or 39.3 percent excluding severance expenses), compared to 41.1 percent in the third quarter and 30.9 percent in the year-earlier quarter (or 37.8 percent excluding severance and one-time expenses). On a pro forma full year comparable basis (excluding purchase accounting adjustments and assuming full year ownership) Software revenue would have been $56.7 million in 2011, an increase of 11.2 percent over 2010 revenue of $51.0 million. Bookings for the fourth quarter were $15.2 million, compared to $14.2 million in the third quarter and $15.2 million in the second quarter. Backlog was $23.7 million at December 31st, compared to $21.3 million at September 30th and $20.5 million at June 30th. Of the $12.4 million in Software revenue for the fourth quarter, $5.1 million was maintenance revenue and $7.3 million was operations revenue, compared to $4.6 million and $8.3 million, respectively, of the $12.9 million in Software revenue for the prior quarter. The renewal rate for maintenance in the fourth quarter was 99.4 percent. Fourth quarter EBITDA margin for Software was 10.3 percent, equal to the third quarter. Operating expenses (excluding depreciation, amortization and accretion) totaled $40.6 million in the fourth quarter, with $29.5 million for Wireless and $11.1 million for Software, compared to operating expenses of $40.2 million in the third quarter, with $28.6 million for Wireless and $11.6 million for Software. For 2011, operating expenses were $163.9 million, including $125.3 million for Wireless and $38.6 million for Software, compared to $151.9 million in 2010. Capital expenses were $2.8 million in the fourth quarter, compared to $4.7 million in the year-earlier quarter. For 2011, capital expenses totaled $8.0 million, compared to $8.7 million in 2010. Dividends paid to stockholders totaled $22.1 million in 2011. At December 31, 2011, the Company's cash balance was $53.7 million and the outstanding debt was $28.3 million. The interest rate on the debt is 3.68 percent. The Company incurred $51.9 million in bank debt relating to the Amcom acquisition in 2011, and repaid a total of $23.7 million during the year. The number of full-time equivalent employees at December 31, 2011 totaled 683, including 434 for Wireless and 249 for Software, compared to a total of 540 at year-end 2010 for Wireless. "USA Mobility continued to make excellent progress in the fourth quarter and throughout 2011," said Vincent D. Kelly, president and chief executive officer. "In addition to an outstanding operating performance, our acquisition of Amcom Software in March expanded the Company's presence in the Healthcare, Government and Large Enterprise market segments beyond our traditional wireless offerings and into software and integrated communications. The acquisition not only underscored our long-term commitment to these growing market segments, but, more importantly, enabled us to begin repositioning the Company for long-term growth." Kelly added: "Operating results for the quarter once again either met or exceeded our key performance targets and financial guidance. We continue to operate the Company profitably, maintaining high operating margins, reducing expenses, improving rates of subscriber and revenue erosion for Wireless. We also generated sufficient cash flow to repay enough debt to become net debt free on a cash basis at year end, while we continued to again return capital to stockholders in the form of dividends." Kelly said both Wireless and Software businesses recorded solid results. "On the Wireless side, EBITDA margin increased to 38.6 percent for 2011 (excluding one-time transaction costs), as Wireless costs declined faster than revenues for the sixth straight year. It was also the seventh consecutive year our Wireless business expanded cash flow margins. In addition, we were pleased to see further improvement in the annual rate of Wireless subscriber and revenue erosion, as the rate of revenue decline fell to 14.4 percent in 2011 from 19.5 percent in 2010 and subscriber churn improved to 11.7 percent, the lowest rate in the Company's history." During the fourth quarter, Kelly noted the Company continued to focus sales and marketing efforts around its core market segments of Healthcare, Government and Large Enterprise. "These three segments represented 90.1 percent of our direct paging subscriber base and 85.6 percent of direct paging revenue in the fourth quarter," he added. "Healthcare now represents 67.2 percent of paging's direct customer base and continues to be our best performing market segment with the highest rate of gross placements and lowest rate of net unit loss." Kelly said the Software subsidiary also recorded a strong performance in 2011 with solid bookings and a growing backlog. "Excluding the fair value write down of maintenance revenue, Amcom realized record full-year pro forma revenue of $56.7 million. It also expanded its product offerings during the year, along with its customer base and product development pipeline." Christopher D. Heim, president of Amcom, said: "Software bookings increased in the fourth quarter from the prior quarter, with December marking our biggest month ever for bookings and giving us positive momentum as we enter 2012. During the quarter our sales team delivered an increase in systems sold to new customers in addition to sales of new modules and upgrades for existing customers. Demand continued to be strongest in North American hospitals where we sold software solutions for call center management, emergency notification, critical smartphone messaging, and clinical middleware. As a result, we ended the quarter with a solid backlog and pipeline of new business opportunities. Finally, as a result of the acquisition by USA Mobility, we continue to identify cross-selling opportunities for both Software and Wireless sales teams with the goal of enhancing sales prospects for each line of business." Kelly noted that USA Mobility returned $22.1 million in capital to stockholders during 2011 in the form of dividends. The Company paid quarterly cash dividends to stockholders totaling $1.00 per share during 2011. "Over the past seven years we have now returned $388.8 million to our stockholders in the form of dividends and distributions and $51.7 million in common stock repurchases." Commenting on USA Mobility's capital allocation strategy Kelly stated, "We have maintained our quarterly dividend at $0.25 per share but are continuing to evaluate the amount of the dividend to ensure adequate capital retention within our business to meet our long-term strategic and operating needs. As we indicated in 2008 when we established the current dividend rate we are focused on maintaining a dividend policy that can be supported by the business and yields an attractive return on our stock price. Absent any acquisitions, we expect to use excess cash to pay off the balance of our existing revolving credit facility in the first half of this year. As for how the Company may choose to allocate capital going forward beyond cash dividends, share repurchases, and debt repayments, we will continue to weigh all options against other opportunities for creating long-term stockholder value. Such options may include additional acquisitions or other strategic investments that might provide enhanced revenue and cash flow stability and allow further use of our sizable deferred income tax assets." Shawn E. Endsley, chief financial officer, said: "Overall, we were pleased with our 2011 operating results, which met or exceeded our expectations. We were again able to reduce operating expenses for our Wireless business at a faster pace than the Wireless revenue decline and thus maintain strong EBITDA margins. Consolidated operating expenses (excluding depreciation, amortization and accretion) of $163.9 million included $125.3 million for Wireless and $38.6 million for Software. In 2011 the expenses for Wireless declined 17.5 percent from 2010, outpacing the 14.4 percent decrease in Wireless revenue. Expense savings were largely the result of continued progress in our network rationalization program, including lower site rents, along with various other cost savings initiatives made throughout the Company. As a result of these cost reduction efforts, combined with solid cash flow from our Wireless and Software businesses," Endsley added, "the Company was net debt free at year end with an outstanding debt balance of $28.3 million and a consolidated cash balance of $53.7 million." Commenting on the Company's previously provided financial guidance, Endsley said: "We are pleased that once again our results were either within or better than the provided guidance. For 2011, total reported revenue of $242.9 million was within our adjusted guidance range of $235 million to $248 million, operating expenses (excluding depreciation, amortization and accretion) of $163.9 million were within the range of $162 million to $174 million, and capital expenses of $8.0 million were within the range of $6.5 million to $9 million." Regarding financial guidance for 2012, Endsley said the Company expects total revenue to range from $214 million to $232 million, operating expenses (excluding depreciation, amortization and accretion) to range from $156.5 million to $163.5 million, and capital expenses to range from $7.5 million to $10 million. USA Mobility plans to host a conference call for investors on its fourth quarter and 2011 operating results at 10:00 a.m. Eastern Time on Thursday, February 23, 2012. Dial-in numbers for the call are 719-457-2702 or 888-500-6973. The pass code for the call is 5683242. A replay of the call will be available from 1:00 p.m. ET on February 23 until 11:59 p.m. on Thursday, March 8. Replay numbers are 719-457-0820 or 888-203-1112. The pass code for the replay is 5683242. USA Mobility, Inc., headquartered in Springfield, Virginia, is a comprehensive provider of reliable and affordable wireless communications solutions to the healthcare, government, large enterprise and emergency response sectors. 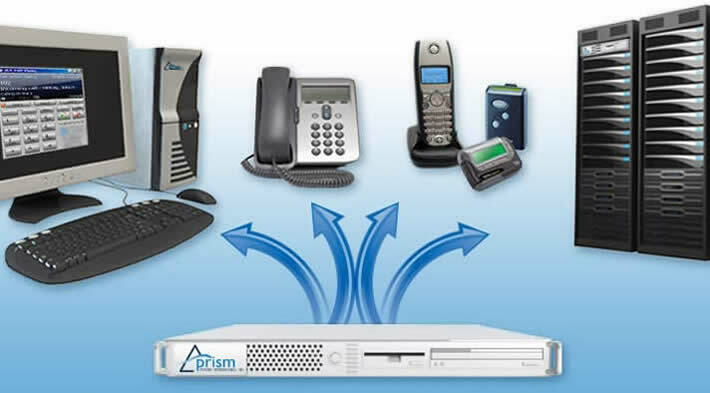 In addition, through its Amcom Software subsidiary, it provides mission critical unified communications solutions for hospitals, contact centers, emergency management, mobile event notification and messaging. As a single-source provider, USA Mobility's focus is on the business-to-business marketplace and supplying wireless connectivity solutions to organizations nationwide. 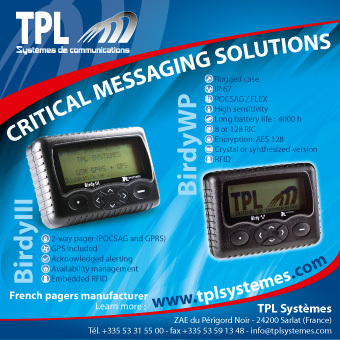 The Company operates the largest one-way paging and advanced two-way paging networks in the United States. USA Mobility also offers mobile voice and data services through Sprint Nextel and T-Mobile, including BlackBerry® smartphones and GPS location applications. The Company's product offerings include customized wireless connectivity systems for the healthcare, government and other campus environments. USA Mobility also offers M2M (machine-to-machine) telemetry solutions for numerous applications that include asset tracking, utility meter reading and other remote device monitoring applications on a national scale. 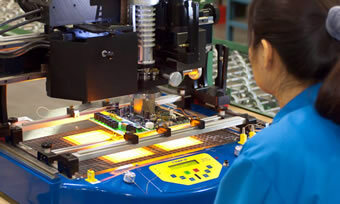 For further information visit www.usamobility.com and www.amcomsoftware.com . Safe Harbor Statement under the Private Securities Litigation Reform Act: Statements contained herein or in prior press releases which are not historical fact, such as statements regarding USA Mobility's future operating and financial performance, are forward-looking statements for purposes of the safe harbor provisions under the Private Securities Litigation Reform Act of 1995. These forward-looking statements involve risks and uncertainties that may cause USA Mobility's actual results to be materially different from the future results expressed or implied by such forward-looking statements. Factors that could cause actual results to differ materially from those expectations include, but are not limited to, declining demand for paging products and services, the ability to continue to reduce operating expenses, future capital needs, competitive pricing pressures, competition from both traditional paging services and other wireless communications services, government regulation, reliance upon third-party providers for certain equipment and services, as well as other risks described from time to time in periodic reports and registration statements filed with the Securities and Exchange Commission. Although USA Mobility believes the expectations reflected in the forward-looking statements are based on reasonable assumptions, it can give no assurance that its expectations will be attained. USA Mobility disclaims any intent or obligation to update any forward-looking statements. The surprising discovery of neutrinos travelling faster than light, which would challenge some of our core assumptions of physics, may have been the result of errors in the equipment used in the experiment. Scientists at CERN shocked the physics establishment last September, when they said tests in the enormous Oscillation Project with Emulsion-Racking Apparatus (OPERA) experiment appeared to have shown the subatomic particles travelling slightly faster than the speed of light. According to Einsteinian theory, nothing can move faster than light. A further test in November seemingly backed up the finding, but on Thursday CERN said it had "identified two possible effects that could have an influence on its neutrino timing measurement". More tests need to be carried out before CERN can be sure what — if anything — has gone wrong, though. The two potential defects in the equipment would actually have the opposite effects. If the first was affecting the neutrino speed measurements, then neutrinos would in reality have been travelling even faster than claimed. Conversely, the second flaw's impact would mean they were travelling slower than thought. "The first possible effect concerns an oscillator used to provide the time stamps for GPS synchronisations. It could have led to an overestimate of the neutrino's time of flight," CERN said in a statement. "The second concerns the optical fibre connector that brings the external GPS signal to the OPERA master clock, which may not have been functioning correctly when the measurements were taken. If this is the case, it could have led to an underestimate of the time of flight of the neutrinos," the research facility added. CERN spokesman James Gillies told ZDNet UK that, contrary to reports of the second flaw involving a 'loose cable', it was a diode in the connector that the scientists suspect may be faulty. A loose cable "would have been found more quickly" as cables had been repeatedly tested, he said. 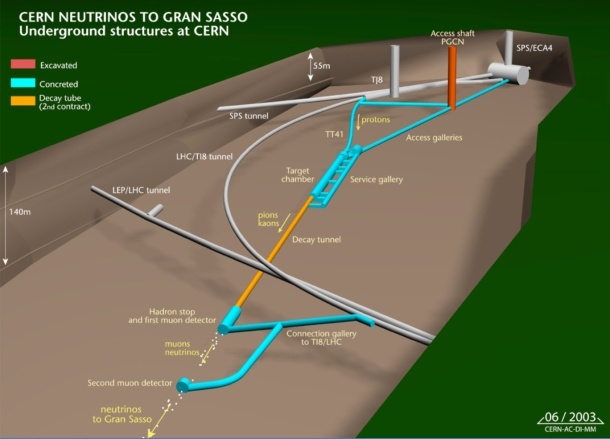 The OPERA project involves sending beams of neutrinos through a 730km subterranean tunnel, from CERN's Geneva facility to the OPERA detector, which is housed in Italy's Gran Sasso laboratory. When they first reported their surprising findings, the OPERA team were clear that they were not definitely saying neutrinos could travel faster than light, but were simply revealing what they had observed. Gillies said further tests would take place in May. He noted that, even if there really are flaws with the oscillator or connector, it cannot be established yet whether these flaws were in place while the earlier experiments were taking place. "We can't look back in time and see whether the equipment was in that state when the data was taken," he said. "Until we put the beam back, we won't know for sure." WATERLOO — They were the missing pieces of the puzzle that Research In Motion is hoping will vault it back into the tablet race. The embattled Waterloo wireless giant unveiled a new update for its troubled PlayBook tablet Monday, including features such as native email, calendar and contacts and a range of Android apps. Those features were glaringly absent when RIM first released the Playbook in April 2011. The update to the operating system, called PlayBook 2.0, is the work of up to 1,000 employees at the company, Michael Clewley, senior product manager at RIM, said Monday. And those workers were spread out over a bunch of locations including Waterloo, Mississauga, Ottawa, Seattle and Boston, he said in an interview at RIM building 20, located on Hagey Boulevard in the David Johnston Research and Technology Park. Pointing to a recent survey showing a 15 per cent share of the tablet market for RIM in Canada, Clewley is optimistic that PlayBook 2.0 will get the company back in the tablet race, currently dominated by Apple’s iPad. “We have a really fantastic offering here not only for BlackBerry users, but for regular everyday users looking for a tablet product,” he said. Reaction of the critics to the upgraded PlayBook has been mixed. After postponing the new software upgrade in October, RIM delivered when it said it would with the features it promised, noted Mike Abramsky, an analyst with RBC Capital Markets. But the PlayBook still lags in the apps department and lacks some key features such as native BlackBerry Messenger, RIM’s popular instant messaging service, he said in a research note. As well the product, selling for as low as $199, is still heavily discounted and the company appears to be selling the PlayBook at a loss so it can “seed developer interest” in the platform for its next generation of smartphones, called BlackBerry 10, Abramsky said. Carmi Levy, an independent tech analyst from London, Ont., said the software upgrade is the “first of many steps” to revive the PlayBook and BlackBerry brands. But at first glance, he was impressed. “Initial feedback is hugely positive, due largely to a well thought out upgrade process and a feature set that finally puts the PlayBook back in the game,” he said in an email. For Clewley, one of the best features of the update is the social integration of calendar and contact apps with platforms such as Facebook, Twitter and LinkedIn. Contact cards are “dynamically populated” with updated information from Facebook, Twitter and other social media platforms to create a consolidated view of contacts, according to a release from RIM. “You get social information as part of your contact information, so it keeps you up to date and in touch,” Clewley said. Other “cool features” are the unified inbox where email and social content can be seen together, and rich text editing including bold, italics and colour features, he said. “No other mobile vendor does this,” said Clewley. As for the apps deficiency, the PlayBook had 10,000 applications before the launch of the update and there are “thousands more in the hopper,” he said. Another big feature of the software upgrade is an improved BlackBerry Bridge app that will allow BlackBerry smartphones and the PlayBook to work better together, Clewley said. Smartphone content such as email, contacts and browser can be viewed on the larger tablet, and the BlackBerry keyboard and mouse can be used remotely on the PlayBook, he said. And the main strength of the PlayBook at launch, its multi-tasking ability, still applies in today’s upgraded version, he said. The multi-tasking efficiency comes from the PlayBook’s QNX operating system, which will form the foundation of the BlackBerry 10 phones expected to come out in the fall, he said. The 33-year-old Clewley joined RIM straight out of the computer science program at Mohawk College in Hamilton in 2001. His first job was answering phones in customer support. From there he worked his way up through application support, to product management for apps development to core product management. 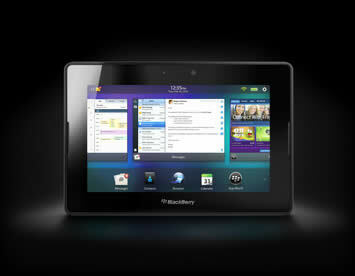 The move to the BlackBerry 10 operating system is the second big software transition for RIM since he joined the company, said Clewley. The first was the shift from a pager-based system using the C programming language to a smartphone platform using Java. Hours after its release, reaction to the PlayBook 2.0 operating system has been positive, he said. In 2009, a Russian satellite hit an Iridium communications satellite. Here, Iridium satellite orbits and collision debris clouds. The most obvious sign that there is a lot of junk in space is how much of it has been falling out of the sky lately: a defunct NASA satellite last year, a failed Russian space probe this year. While the odds are tiny that anyone on Earth will be hit, the chances that all this orbiting litter will interfere with working satellites or the International Space Station are getting higher, according to a recent report by the National Research Council. The nonprofit group, which dispenses advice on scientific matters, concluded that the problem of extraterrestrial clutter had reached a point where, if nothing was done, a cascade of collisions would eventually make low-Earth orbit unusable. “NASA is taking it very seriously,” said Mason A. Peck, chief technologist for the National Aeronautics and Space Administration. There is a straightforward solution: dispose of the space junk, especially big pieces, before they collide and break into smaller ones. Researchers are stepping in with a variety of creative solutions, including nets that would round up wayward items and drag them into the Earth’s atmosphere, where they would harmlessly burn up, and balloons that would similarly direct the debris into the atmosphere. Also on the table: firing lasers from the ground. Not to blow things up, which would only make more of a mess, but to nudge them into safer orbits or into the atmosphere. Just last week, researchers at a top Swiss university, the Federal Institute of Technology in Lausanne, announced that they were designing CleanSpace One, a sort of vacuum cleaner in the sky — an $11 million one — that will be able to navigate close to a satellite and grab it with a big claw, whereupon both will make a fiery death dive. The Swiss have only two satellites in orbit, each smaller than a breadbox, but they are concerned about what to do with them when they stop operating in a few years. The space junk problem is so old and widely acknowledged that it even has a name: the Kessler Syndrome. In 1978, Donald J. Kessler, who led NASA’s office of space debris, first predicted the cascade effect that would take place when leftover objects in space started colliding. With so many items whizzing around at more than 17,000 miles per hour and shattering as they crash, the threat to working satellites, which are vital to hurricane tracking, GPS systems and military surveillance, has grown more immediate. Three years ago, a derelict Russian satellite slammed into an Iridium communications satellite, smashing both into tens of thousands of pieces. 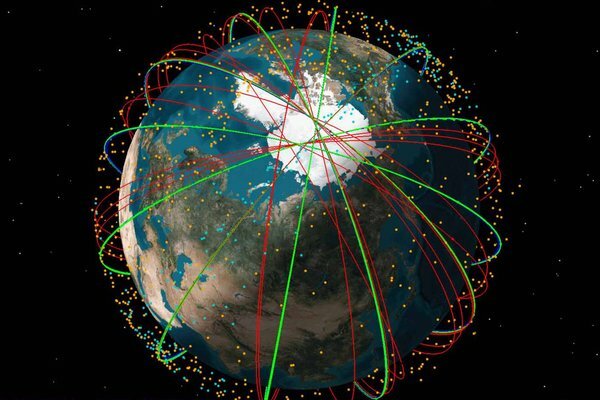 The Air Force currently tracks 20,000 pieces of orbiting space junk, which includes old rocket parts and dead satellites. Taking down five or six of the large intact objects each year would be enough to halt the cascade effect, he said. Eliminating 10 a year would quickly reverse the trend. NASA has started financing research to come up with some solutions. Raytheon, for one, is studying whether a high-altitude balloon might be able to carry a machine that would essentially shoot puffs of air into the path of orbiting debris. Even that slight increase in atmospheric drag could force junk to fall back to Earth. “It actually doesn't require much,” said Dr. Peck, NASA’s chief technologist. NASA just gave $1.9 million to Star Technology and Research, a small company in South Carolina, to develop and test technologies for a spacecraft it calls the ElectroDynamic Debris Eliminator — Edde, for short. Powered by a 6-mile-long wire — make that “space tether” — that generates energy as it is pulled through the Earth’s magnetic field, Edde would sidle up to a piece of junk, whip out a disposable net to catch it and then move to a lower orbit, where air friction would coax the item to re-enter the atmosphere. Edde, staying in orbit, would then move on to its next target. Technology is just one hurdle. International politics might be a more serious one. Space junk, even if it is just junk, still belongs to the nation that put it there. So if the United States tried to lasso part of a spent Russian rocket, Russia would most likely protest. Many nations would certainly worry that a ground-based laser capable of pushing satellites around would also be wielded as a weapon. Meanwhile, the space junk problem will not be solved unless everyone launching rockets stops adding to it. The United States has largely done that: all new satellites are now accompanied by plans for how to bring them safely out of orbit. Last month, Secretary of State Hillary Rodham Clinton suggested setting up a code of conduct for nations to follow, but that may be more easily said than done. European countries have also been putting together a set of ground rules, but the United States called them too restrictive. Hollywood Movie Features Morse Code, Homebrew Equipment— and Sea Monsters! In the movie Journey 2: The Mysterious Island, Sean Anderson (played by Josh Hutcherson) receives a coded distress signal that comes from a mysterious island where no island should exist. 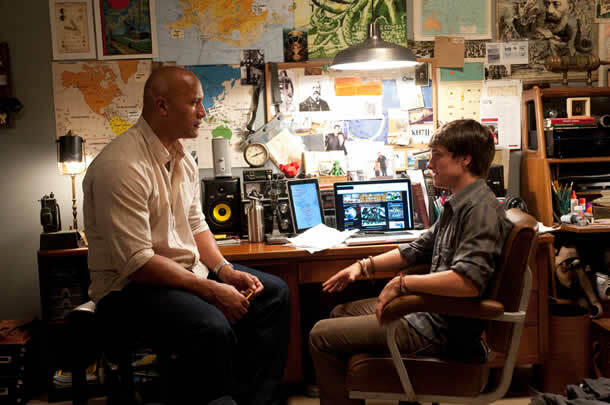 Sean decides to follow the signal with the unwilling assistance from his stepfather Hank (played by Dwayne “The Rock” Johnson). The movie opens in Dayton, Ohio with Sean on his motorcycle, being chased by police officers. Sean had been caught breaking in to a “satellite facility.” When questioned by Hank, Sean confesses that he had received a coded message from his grandfather (played by Michael Caine), but his equipment was too weak to copy it; he decided to go somewhere where there were bigger antennas. The message — a string of one and two syllable words taken from the books by Jules Verne — makes no sense to Sean. Hank, a former US Navy cryptographer, offers to help decode the message; he feels this will be a good chance to bond with his stepson. The Battleship Missouri Amateur Radio Club, KH6BB, provided all the radio gear for the movie. Both the QSL cards for KH6BB President Ned Conklin, KH7JJ, and for KH6BB can be seen on the bulletin board. The KH6BB card features the Missouri with her 16-inch guns firing. Immediately, Hank figures out that the message is really in Morse code: each one syllable word is a “dit,” while each two syllable word is a “dah.” Hank translates the message, which gives clues to the location of the grandfather’s whereabouts. This scene takes place at Sean’s desk in his bedroom. There are various pieces of radio gear — such as a Kenwood TS-450s transceiver, an Ameritron AL-80 linear amplifier, an ICOM IC-28A 2 meter transceiver, an MFJ 949E antenna tuner, a Lowe HF-150 receiver, a microphone and books on radio dating from the 1930s — on the desk; when Sean’s house is shown from the street, however, no antennas are visible. 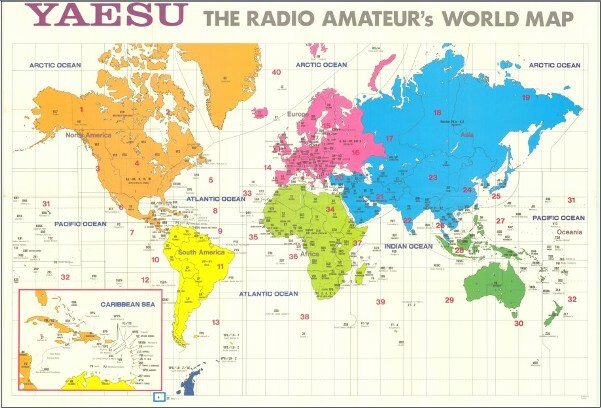 Behind the desk are posters from Jules Verne works, as well as maps — including The Radio Amateur’s World Map from Yaesu — and QSL cards on the bulletin board behind the desk. Through the clues in the coded message, Sean and Hank learn that Sean’s grandfather is on an island off the coast of Palau, located about 500 miles east of the Philippines. The two go to Palau, in hopes that they can charter someone to take them to the island where they believe Sean’s grandfather to be. There, they meet up with Gabato (a helicopter pilot played by Luis Guzman) and his daughter Kailani (played by Vanessa Hudgens). The group makes their way to the island and finds the grandfather, who takes them to the hut that he has built out of the boat that brought him to the island. The grandfather explains that he was glad Sean was able to receive and decipher his message. He said he built his radio in three months “out of an alarm clock, copper wire and a teaspoon.” When the others tell him that they should get on the radio and call for help, the grandfather says that would be a good thing, but “ you have to wait for the communications satellite to come around into the proper position. ” When asked when the next time would be, the grandfather says “Oh, about two weeks.” After this scene, radio is never mentioned again. Eventually, the five get off the island in a most unique way, with Sean and Hank returning to Dayton. Kailani also ends up at Dayton as a student at the University of Dayton. Thanks to the remarkable way the group escapes the island, Gabato’s fortune is made and he expands his tour business. And the grandfather? He’s ready to set off on another adventure. 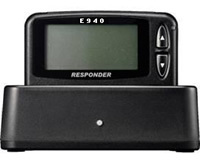 With the M1501 Acknowledgement Pager and a SPARKGAP wireless data system, you know when your volunteers have been alerted, when they’ve read the message, and how they’re going to respond – all in the first minutes of an event. 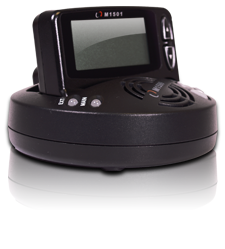 Only the M1501 delivers what agencies need – reliable, rugged, secure alerting with acknowledgement. FCC ISSUES ADVISORY TO COMPLY WITH CPNI CERTIFCATION BY MARCH 1: The FCC’s Enforcement Bureau has issued an Enforcement Advisory to remind telecommunications carriers and interconnected Voice over Internet Protocol (VoIP) providers of their obligation to file, by March 1, their annual reports certifying compliance with the Commission’s rules protecting Customer Proprietary Network Information (CPNI). CPNI includes some of the most sensitive personal information that carriers have about their customers as a result of their business relationship ( e.g., phone numbers called; the frequency, duration, and timing of such calls; and any services purchased by the consumer, such as call waiting). In prior years, many companies have failed to file, or have filed certificates that failed to comply with our rules in material respects. Failure to file a timely and complete certification calls into question whether a company has properly complied with the rules requiring it to protect its customers’ sensitive information. Because the CPNI rules provide important consumer protections, the Commission has initiated enforcement action against telecommunications carriers and interconnected VoIP providers that are not in compliance with the requirements, and the FCC intends to continue to strictly enforce the rules. Companies are reminded that failure to comply with the CPNI rules, including the annual certification requirement, may subject them to enforcement action, including monetary forfeitures of up to $150,000 for each violation or each day of a continuing violation, up to a maximum of $1,500,000 . False statements or misrepresentations to the Commission may be punishable by fine or imprisonment under Title 18 of the U.S. Code. Carriers should modify (as necessary) and complete their “Annual Certification of CPNI Compliance” for 2011. The certification must be filed with the FCC by March 1. Note that the annual certification should include the following three required Exhibits: (a) a detailed Statement Explain-ing How The Company’s Operating Procedures Ensure Compliance With The FCC’S CPNI Rules to reflect the Company’s policies and information; (b) a Statement of Actions Taken Against Data Brokers; and (c) a Summary of Customer Complaints Regarding Unauthorized Release of CPNI. A company officer with personal knowledge that the company has established operating procedures adequate to ensure compliance with the rules must execute the Certification, place a copy of the Certification and accompanying Exhibits in the Company’s CPNI Compliance Records, and file the certification with the FCC in the correct fashion. Our clients can forward the original to BloostonLaw in time for the firm to make the filing with the FCC by March 1, if desired. We ask that any filings be forwarded to us by Friday, February 26. BloostonLaw is prepared to help our clients meet this requirement, which we expect will be strictly enforced, by assisting with preparation of their certification filing; reviewing the filing to make sure that the required showings are made; filing the certification with the FCC, and obtaining a proof-of-filing copy for your records. Clients interested in obtaining BloostonLaw's CPNI compliance manual should contact Gerry Duffy (202-828-5528) or Mary Sisak (202-828-5554). Note: If you file the CPNI certification, you must also file the FCC Form 499-A Telecom Report-ing Worksheet by April 1; and if you have filed a Form 499A, the FCC will likely be looking for a CPNI certification from you.